Today was Day #3 of Chocolate and Berry Theme Week, and I'm giving some airtime to the small, dark blue-purple elderberry. While not as popular here in the U.S. as in Europe or other parts of the world, the slightly tart berry (usually partly cooked/dried) paired well with chocolate . 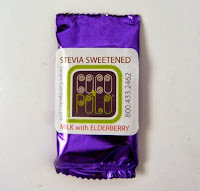 Today's sample-sized, 39% cocoa, milk chocolate with elderberry bar from Coco Polo (Highland Park, NJ) contained a pleasing blend of flavors -- and was sweetened with stevia. 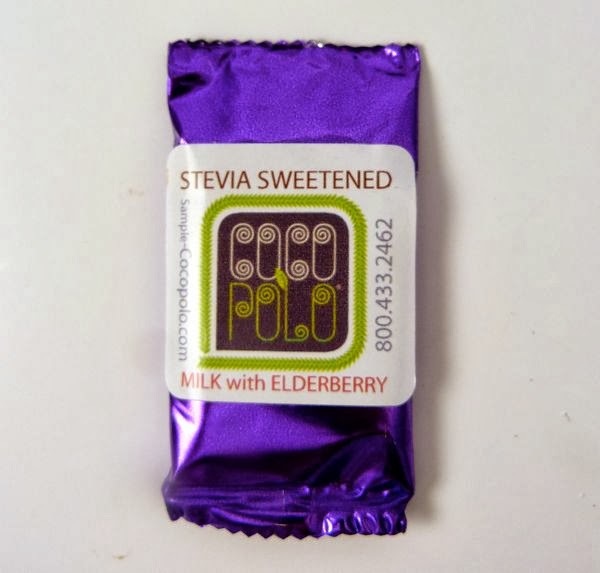 Coco Polo produces a line of different, stevia-sweetened bars. 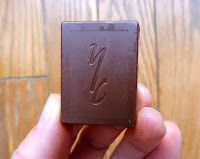 I'm planning to include the 70% cocoa, dark chocolate version of this bar tomorrow.